Please note this item needs to be drilled onto a wall. This Basketball set has everything you need to start practising at home. 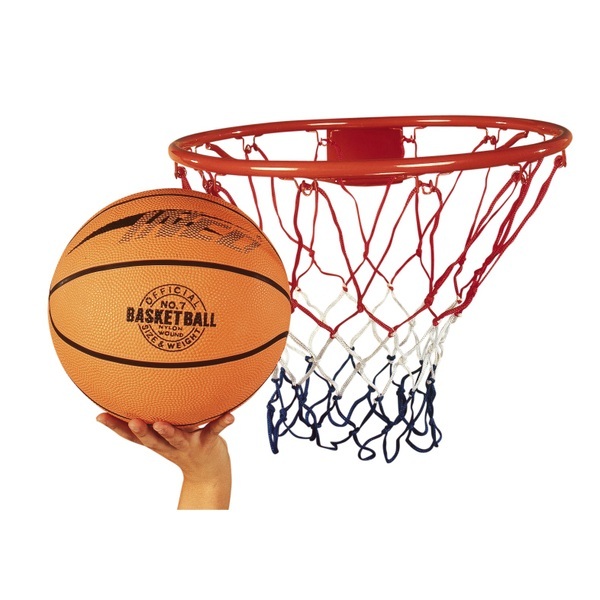 Features a 47cm diameter steel rim, net, pump and official size and weight nylon basketball. Ball and fittings included.